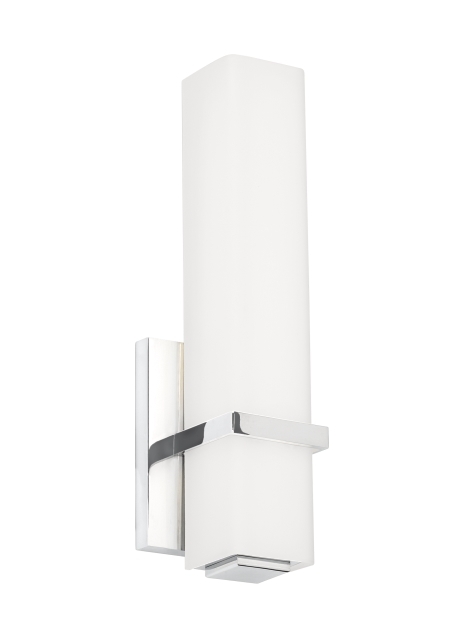 The Milan wall sconce by Tech Lighting is a modern rectilinear bath bar that features a clean and crisp design. The Milan is defined by the sharply enhanced crystalline dimension of the outer shade. The Milan can be customized by selecting either a clear polished glass or beautiful opal etched glass, either glass finish will bring sophistication to your space. The Milan is available in two on-trend finishes, Satin Nickel and Chrome, each finish further enhances its contemporary style. The Milan bath bar ships with energy efficient integrated LED lamping, all lamping options are fully dimmable to create the desired ambiance in your special space.